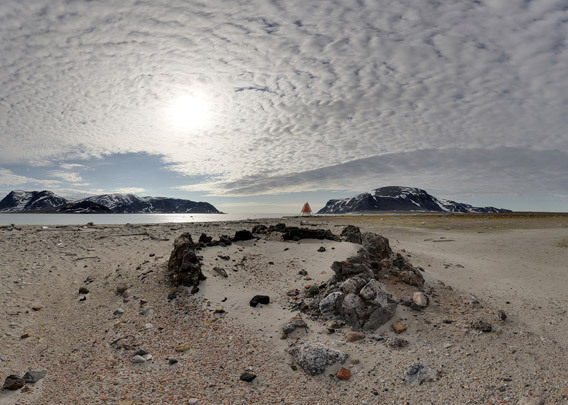 Smeerenburg is on a flat peninsula on the southeastern point of the island of Amsterdamøya in northwestern Spitsbergen. It is one of the only places in the area where the terrain allowed to build and to run a whaling station. It was the Dutch who took advantage of the place and built a station early in the 17th century (see page about 17th century whaling for more background information). Smeerenburg, which translates as „blubber town“, was one of the largest whaling stations in Spitsbergen and certainly the most famous one. Eight companies from different Dutch towns were active there and had at least one blubber oven and 2 buildings. Also a Danish company was involved at times. In its heydays, up to 200 men were working in Smeerenburg during the summer. 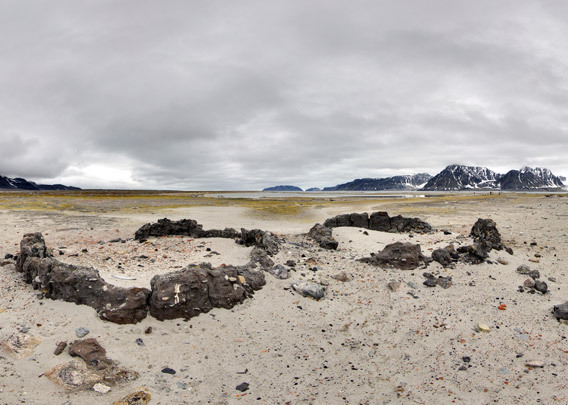 Remains of the blubber ovens can still be seen, after 4 centuries.